Due to rapid demographic, ecological and economic changes the urban region Lower Austria-Vienna is confronted with important challenges, especially in regards to logistics. Increasing (goods) traffic has a substantial impact on the population (due to emissions, limited-space-conflicts etc.) and makes it more difficult to meet the goals of spatial planning and urban & regional development. At the same time, technological developments, changes in shipment and fleets structures, as well as increasing regulation and relocation of logistics spaces to the outskirts of the city lead to profound changes in logistics, particularly in urban regions. 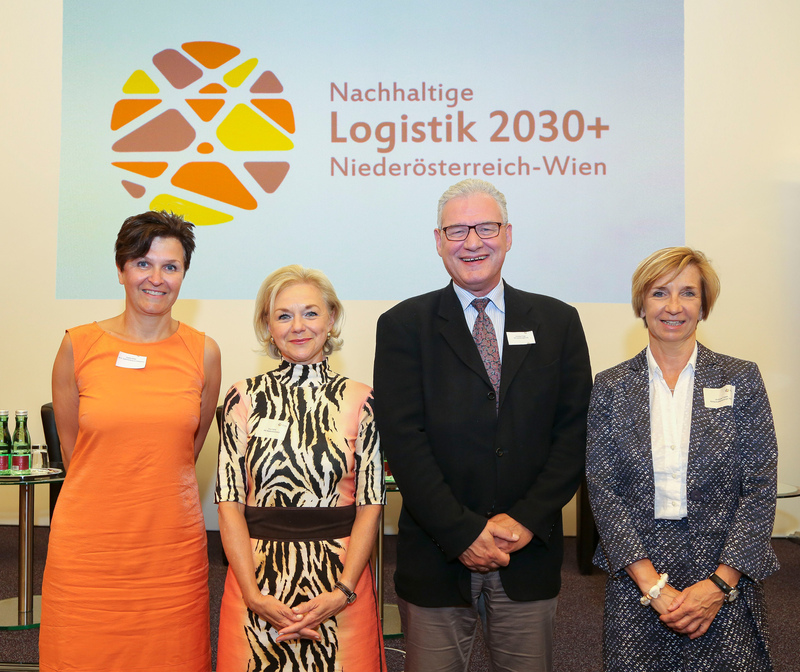 The project „Sustainable logistics 2030+ Lower Austria-Vienna“ (Nachhaltige Logistik 2030+ Niederösterreich-Wien; short: Logistik 2030+ / Logistics 2030+) addresses these challenges aiming at the development of a future- and implementation-oriented action plan. First, in a broad, structured stakeholder process, current fields of action are identified and dealt with in interdisciplinary working groups. Subsequently, 2030+ scenarios are developed and medium-term processing fields are derived. The contemporaneous development and initiation of pilot projects, as well as the final definition of an action plan with concrete measures including an implementation strategy should enable rapid practice-oriented realisation. The goal of „Logistics 2030+“ is a future- and implementation-oriented action plan.